Whenever I settle down to read an Amanda Prowse book I know that I am going to be absorbed in a wonderful, emotional story for the next few days. As expected, I have spent the weekend completely caught up with the lives of the characters in The Idea of You. Lucy is an almost forty year old who has very recently met and married the man of her dreams, the rather wonderful Jonah Carpenter. With the biological clock ticking, they decide to try for a family but things don’t go as they had hoped and they suffer disappointment after disappointment in their quest to become parents. To add to everything Lucy is trying to cope with, she has to deal with Jonah’s teenage daughter from his first marriage coming to stay for the school summer holidays. Amanda Prowse has a real talent for creating characters who you can completely identify with. She writes about ordinary people in situations so many people will have experienced. As is made clear throughout the book, many women will experience the heartache of not being able to conceive or will suffer miscarriage. There is often no reason and this can be so hard to deal with. My heart went out to Lucy as it seemed everywhere she went she was surrounded by women with children, women expecting children or shops full of baby things. Added to that, all the comments made thoughtlessly, insensitively or inadvertently by friends and family made her feel so awful and yet unable to talk about it. I was particularly moved by the poignant heartfelt letters Lucy writes to the child she hopes is yet to come. I was especially touched by one letter when she thinks of the things she will miss if she doesn’t have a child: their graduation, their marriage, soothing them if they are upset, becoming a grandparent. She longs not just for her own child but for all the possibilities that child could bring. The Idea of You is a wonderfully warm read. There is heartbreak but it is beautifully balanced with hope and happiness. Amanda Prowse has once again written a most touching and uplifting book and I loved it. With her fortieth birthday approaching, Lucy Carpenter dares to hope that she finally has it all: a wonderful new husband, Jonah, a successful career and the chance of a precious baby of her own. Life couldn’t be more perfect. 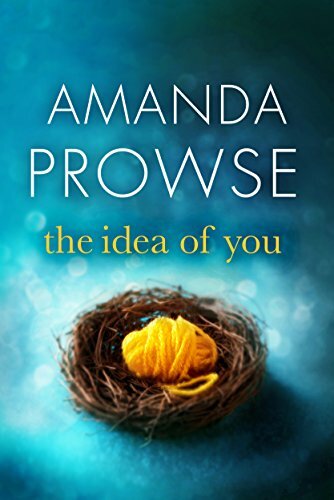 Heart-wrenching and poignant, this latest work by bestselling author Amanda Prowse asks the question: what does it mean to be a mother in today’s hectic world? And what if it’s asking too much to want it all? Perfectly put Joanne – I agree with every word. Thanks Linda. Another amazing and touching story.